A luxury saloon for those not particularly concerned by the outward image it projects, the S80 was always a sound choice for the discretely wealthy. 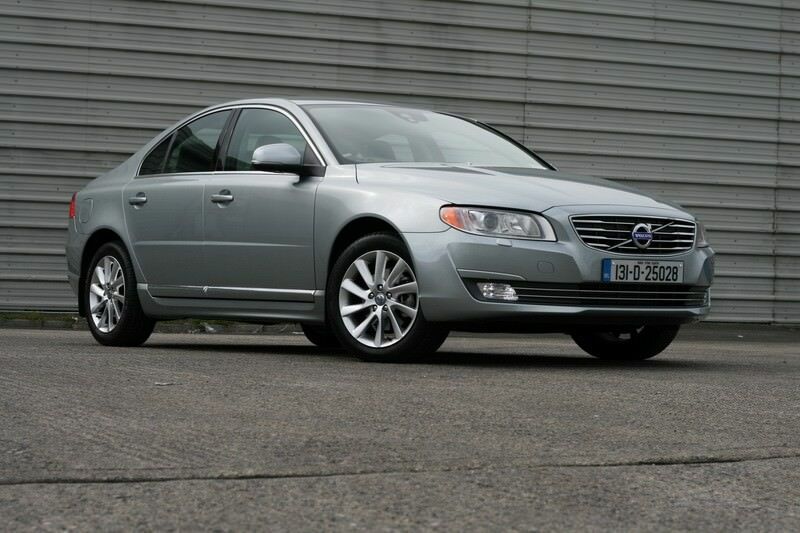 A luxury saloon for those not particularly concerned by the outward image it projects, the S80 was always a sound choice for the discretely wealthy. Not quite in the same size sphere as true premium luxury cars - sitting somewhere between something like Mercedes-Benz's E-Class and S-Class - there's plenty of room inside to get comfortable, and Volvo's luxuriant, sofa-like seats only add to the S80's appeal. The S80 has been around since 2006 in its present form, but it's close enough in style to its predecessor to make it feel like longer. Unimaginative as the styling may be it does mean an older car doesn't look it, and any will slip by unnoticed in traffic. A four-door saloon only, it's offered largely in front-wheel drive, with some of the rare top-specification, biggest engined models coming with all four wheels driven. Being a Volvo it's a safe choice, all examples brimming with safety technology to make your drive safer and more convenient. The engine choice is extensive, with Volvo offering everything from a comparatively small 1.6-litre turbodiesel to a 4.4-litre V8 petrol unit- in some markets - though the majority of cars available in Ireland consist of Volvo's in-line five-cylinder turbodiesel and petrol engines and that 1.6-litre turbodiesel. Volvo has dabbled with 'flexfuel' biofuel and LPG offerings for years now - it being popular in its native Sweden - but these are relatively unusual here. Automatics are common given the S80's luxury car status, but some of the smaller engined cars might be found in manual guise, though they're less desirable to own. That 1.6-litre diesel, badged DRIVe, is very appealing, thanks to its parsimonious consumption, though you do pay for its frugality with fairly leisurely performance. The turbocharged petrol line-up is brisk, the T4 particularly so, though you pay at the pumps. Trims follow Volvo's usual ES, SE, SE Lux, Sport and Sport Lux trims and even the entry-level models coming well specified. The earliest cars are predominantly powered by petrol engines, though it's the 1.6 turbodiesel that's the most appealing as an ownership experience. While it's not fast it is incredibly frugal, which makes your luxury an inexpensive indulgence. Volvo's biggest and most comfortable offering might lack the prestige of its German and British rivals, but that's arguably part of its enduring appeal. A big car, with a small, economical engine, the S80 rather fits the economic zeitgeist, though the bigger engined versions make less sense.